What is a new project? A project is an idea to develop something with a clear beginning and end. There are many ideas to develop and produce new instruments at more affordable prices. But all those ideas require a lot of work and money. We need your help to define which ones we should prioritize and to turn our passion into a reality. Everything related to early and folk musical instruments. There are a lot of great projects that fall outside of our scope. This is not a place for donations to causes, charity projects or general business expenses. The project campaigns are not for equity investments but they are contribution based. Why should I support a project? Rewards. Each project has a rewarding plan offering smart, fun, and tangible rewards (as limited supply products, acknowledgments, benefits, one-of-a-kind experiences…) to their backers for different contribution levels in the project. Rewards are typically things produced by the project itself, but not always. Price. Most projects offer as a reward the resulting product. And the monetary contribution needed to get that product is always smaller than its standard price. If you are interested in any of those products, supporting the project is a good way to get it cheaper. Stories. We are real people and our projects are efforts to do something we love. All the people that contribute to a project share with us that love and dream. Contributing, you also get the satisfaction of helping others to get something they are passionate about! How can I support a project? Basically every project needs working time and money to be implemented. Sometimes also impetus, know-how or other intangible ingredients. There is always some undefined points in the first steps. You as backer will have the option to vote to define such open points. 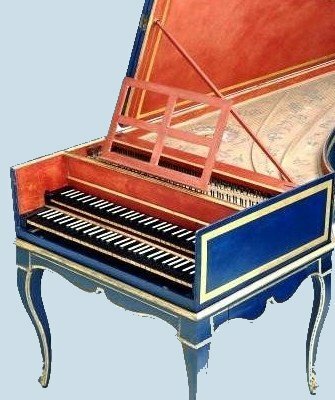 For example, if we are producing a new instrument your opinion will be taken into account to define how exactly it will be: more or less decoration, based after other original, tuning, etc. If you want to see a project come to life help to find other people interested in supporting it: tell about it to your friends, colleagues, in the radio…; write about it in the social networks, newspapers, etc. When we have published the synopsis of the project is because we already have studied how to finish it. We already have most of the knowledge, impetus and time to do the work. Obviously we cannot do everything by ourselves and need paying others for those jobs. Actually, the most difficult part of any project is getting the funding to start. You can help sending us your ideas, knowledge… but what we always need is getting the funds. A small monetary contribution is the best help to bring to life the project. Who can support a project? Everybody from anywhere, who is 18 years or older and accepts these rules can support a project and pledge to it. Companies are also invited and their contributions welcome. Who can start a new project? We start the projects according to the demands of our customers and friends. If you have any idea or would like to have any new instrument produced, please let us know and after study we can publish the new project so others can support it. Once published the summary of the project it will be open to the support and funding of people. If the project gets the needed support, we will develop it and we'll reward you according to the rewarding plan. Those projects are powered by an all-or-nothing funding method where projects must be fully-funded to be started. If they don't get the minimum funding, no money changes hands. What is 'all-or-nothing' funding policy? Funding Successful when a project has met or surpassed its funding goal. The backers will pay the pledged amounts and funds will go to us. We are then responsible for completing the project and delivering rewards as promised. The stated amount for a project has been carefully studied to develop such idea. We do not know how to do it in a shorter or cheaper way. If we would take the money we couldn't honour our compromises. If a project doesn't receive the needed support, we are not compelled to follow through. It allow us to test concepts or redefine the project for the future. The money is not everything in the project development. This requires a lot of work. We cannot make all that effort on a project for which there are not enough people interested in. If people want to see a project come to life, they are going to spread the word to find more help. Where does the money go if the funding goal isn't reached? Usually the money is only taken when the funding goal is reached. But if you sent the money in advance, you will receive a full refund. I don't have a PayPal account. Can I still contribute? Yes. You can pay with your credit card as a Guest on PayPal (no PayPal account required!). After you click "Contribute" on the campaign, you'll be taken to a PayPal screen. At the top, you will see "Choose a Way To Pay." Click on "Pay with a credit or debit card." Uncheck the box that says "Save this information with a PayPal account. It's easy and free to sign up. Learn more about PayPal." Then proceed to pay as Guest with your credit card. If something fails, you can always email us ( ) and we will solve it. I don't have a credit or debit card. Can I still contribute? Yes. Let us know that you want to contribute and we will send you a link where you will be able to pay with your bank account without a card nor a PayPal account. Can I choose the reward to my contribution? The standard rewards are stated in the rewarding plan. The project creator has established those rewards so you can contribute according to your possibilities and interest. When you pledge for a project, you have the option to choose another reward at a same or lower tier than the amount pledged or even the option to not receive a reward at all. If I make a pledge, when will I pay? If the project you are backing is successfully funded, you will pay when the project reaches its funding deadline. If the project does not reach its funding goal, you will never be charged. That's why they are pledges. To pledge to a project, just click the “Contribute” button on any project page. You will be asked to enter your pledge amount and select a reward. No. Only we and you will be able to see your pledge amount. What if I want to pledge anonymously? We don't currently have an anonymous pledge feature. You are free to choose any username you wish, though, so you could anonymize that way if you would like. Otherwise, we hope you're okay with showing your name and support. What happens if a project reaches its funding goal before time expires? Nothing really. The projects can raise more money than their goal. Projects continue to accept pledges until the funding deadline. There is no option to end a project early. How we will use the excess of money received? In each particular case we will have to explain it. But basically we will go one step further in the project consecution. We have the option to cancel funding for a good reason. When funding is cancelled, all pledges are immediately voided. We and backers can continue to post on the project, however. How can I increase my pledge amount? Pledge a new amount. Your previous pledge will be cancelled, so be sure that you are not pledging for the difference but for the total new amount. In case of doubt we will contact you by email. Can I reduce or cancel a pledge? By pledging, you are committing to supporting that project. Reducing or cancelling that commitment is discouraged. Contributions are not generally refundable because they are disbursed immediately to the project as the funds are raised. If you must do it, send us an email. Why we do not publish our projects in crowdfunding platforms. We know that those platforms have more publicity and could help our projects to be known by more people and consequently there is a higher probability to success in getting the funding. But basically their service represent a high cost that we prefer not to incur in. In addition to the unavoidable financial cost of sending the funds, all those platforms charge between a 5% to 10% commission. As an example, in a 12,000 euro project, this can represent up to 1,800 euros or more that our supporters will pay but the project will not receive. We prefer that the maximum amount of the funds sent by the backers go directly to the development and consecution of the project. What to do if I have questions about a project? Ask it! At the bottom of each project page there’s an email link. If you are already a backer and you would like to make your question public, you can post a comment on the project. Who owns the intellectual property of things made through those projects? We will develop this projects for you and with your help. You will get a good reward. But these are our projects and will be developed by us. We keep 100% ownership of the intellectual and industrial property . How do I know when rewards will be delivered? Projects have an Estimated Delivery Date under each reward. The Estimated Delivery Date for a reward is the date we expect to deliver that reward to backers and is entered as our best guess. What will we do if we miss the Estimated Delivery Date? The Estimated Delivery Date is intended to set expectations for backers on when they will receive rewards. Setbacks are common to any project, and developing ones especially. When the unforeseen occurs, we are expected to post a Project Update explaining the situation. Regular communication is a must for us. Being honest and transparent will find backers to be far more forgiving. We’ve all felt the urge to avoid things when we feel bad about them, but leaving backers in the dark makes them assume the worst. It not only reflects badly on the project, it’s disrespectful to the support that community has given. I haven't got my reward yet. What can I do? The first step is checking the Estimated Delivery Date on the project page. Backing a project is a lot different than simply ordering a product online, and sometimes projects are in very early stages when they are funded. If the Estimated Delivery Date has passed, check for Project Updates that may explain what happened. Sometimes we hit unexpected roadblocks, or simply underestimate how much work it takes to complete a project. We are expected to communicate these setbacks should they happen. If we haven’t posted an update, send a direct message to request more information about our progress, or post a public comment on the project page asking for a status update. Who is responsible for making sure we deliver what we promise? We are responsible for fulfilling the promises of our projects. Because projects are usually funded by the friends, fans, and communities around, there are powerful social forces that keep us accountable. We are also encouraged to post regular updates about the progress of the project post-funding. If we are unable to complete the project as listed, what will we do? If we are unable to fulfil the promises made to backers, cannot complete the project as advertised, or decide to abandon the project for any reason, we are expected to cancel funding. A failure to do so could result in damage to our reputation or even legal action on behalf of our backers. Do I get notified if a project I'm backing succeeds? We’ll send you an email when funding ends, no matter the outcome. Is my pledge tax deductible? In general, no. But it depends on the law of your country. Please, ask to your authorities. What happens if the backer doesn't pay or his/her credit card is declined at the deadline? An email will be sent to the backer every 48 hours with a link to fix the issue. The backer has seven days to correct the problem. If s/he does not correct the payment during that seven day period, s/he will be dropped as backer from the project and will be no longer eligible to receive rewards. We cannot underscore how important it is to have your help in promoting the projects. Please help us by publishing about our fundraising campaign in your blog or website. Share it on Facebook, Twitter or on your favourite social networks. Send the following URL by email to your friends. The more people know about the project, the easier will be to carry it out with less effort. Do you want us to start a new project? Just contact and tell us your need. We'll ask some basic questions about it. It shouldn't take more than a few days for a member of our team to get back to you about your idea, and if it meets our guidelines and has not recently proposed, we're good to go. Fax: Not available. Please use the email.